Hello, people, Snapdeal launch a new smartphone for all the Snapdeal users. The XOLO ERA is the best phone and it is exclusively available on Snapdeal only. 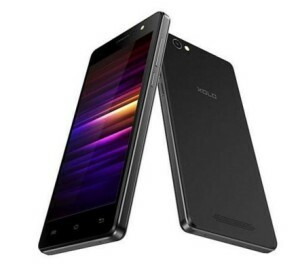 The offer price of the XOLO ERA is Rs 4999 only. there is an open sale on Snapdeal Now so users can now buy this smartphone without registrations. The XOLO ERA Smartphone was launched in Feb 2016 and is packed with so many features. Xolo is an Indian Company which produces Intel processor-powered android smartphones. Xolo Company has recently launched the brand new smartphone Xolo Era on Snapdeal. This smartphone has 5 inches display, 1280 X 720 resolution, 1.5 GHz quad-core processor and 1 GB RAM. Moreover, those buyers want high storage capacity then the phone has 8 GB internal storage and it is expandable up to 32 GB. Most of the people demand better picture quality then this phone comes up with 5 megapixels rear camera and 2 MP front camera. The Xolo Era supports 4G and is powered by a 2500 mAh removable battery. In the nominal price of Rs 4999, you will get all the features. The Xolo Era is really an awesome phone and is only and only available on snapdeal.com. So users no need to register for the mobile to buy the Xolo Era 4G Smartphone that’s why just click on the link given below on our page and increase your chance to buy the Xolo Era Smartphone from Snapdeal. The XOLO Era mobile is available to all the users and you can buy it now freely at an offer price of Rs 4999. There is a discount upto 22% on this phone if you buy it from Flipkart.